This charming 4 Bedroom 3 Bath home is a must see, completely remodeled with everything brand new! Perfect location in The City of Anna Maria, West of Gulf Drive! With no busy streets to cross you are only steps to direct beach access and the Gulf of Mexico! 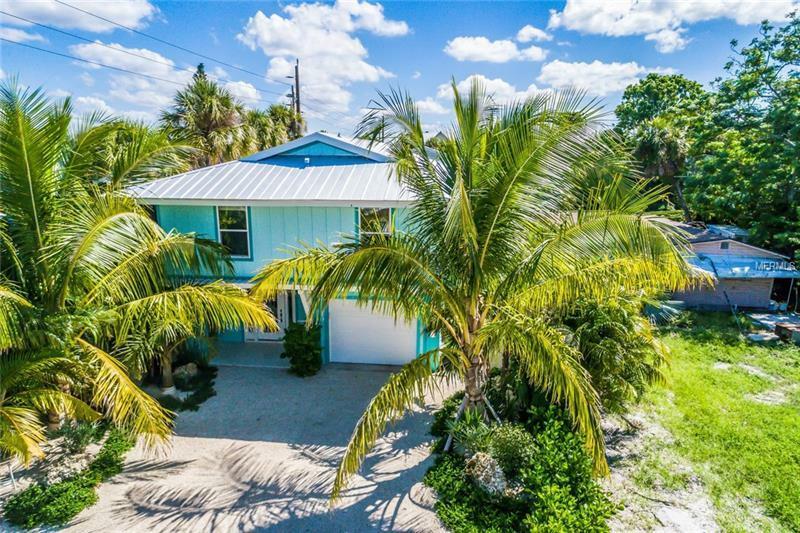 The interior details of this home are just as impressive and offered furnished comfortably in coastal chic and will make for a fantastic family vacation retreat or investment home. Some features are beautiful wood look tile throughout the entire home, stainless steel appliances, beachy colorful blue backsplash, and more. You will love the natural light that comes through to the open concept living area where there is plenty of space for entertainment. There is a back balcony that you can access through two of the bedrooms to lounge and relax. The backyard is surrounded by professional lush landscaping for your privacy. The heated pool and spa is half covered to keep cool from the Florida heat. There is a one car garage with plenty of storage for your bikes and beach toys! Come and enjoy the island life today!